If you want someone to remove the clutter and dirt from your rooms and freshen them up in the beginning of the warm season, use our spring cleaning services. They will make your home thoroughly sanitised and impeccable. Our professional cleaners in Chiswick will remove the dust, grime, stains, grease and lime-scale from all rooms. They use advanced machines and non-toxic cleaning products which speed up and facilitate their work. The spring cleaning which we provide in Chiswick W4 is excellent for one off detailed sanitising of your home. If you want your home to be in an impeccable condition in the first days of the spring, use our services. 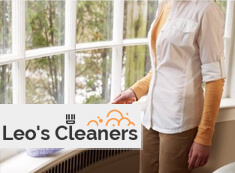 Our cleaners will make your rooms flawless from top to bottom, doing the necessary cleaning tasks. They will scrub and polish the bathroom and kitchen appliances and furniture, which usually take more time. Our staff will dust and clean the bedrooms, hallway, stairs and living areas. You can order the spring cleaning which you need in or nearby Chiswick W4 by calling us, sending us an e-mail or using our booking form. We will send our staff to your address whenever suit you and your family. Using our services, you can make your rooms cleaned of the dust, mould, stains, allergens and pollutants. We offer great deep cleaning to the residents of W4 Chiswick which will make every home environment hygienic. Save yourself the time and efforts, spent in cleaning your rooms on your own and use the help of our professional cleaners. They work with powerful and advanced machines as well as effective cleaning preparations.